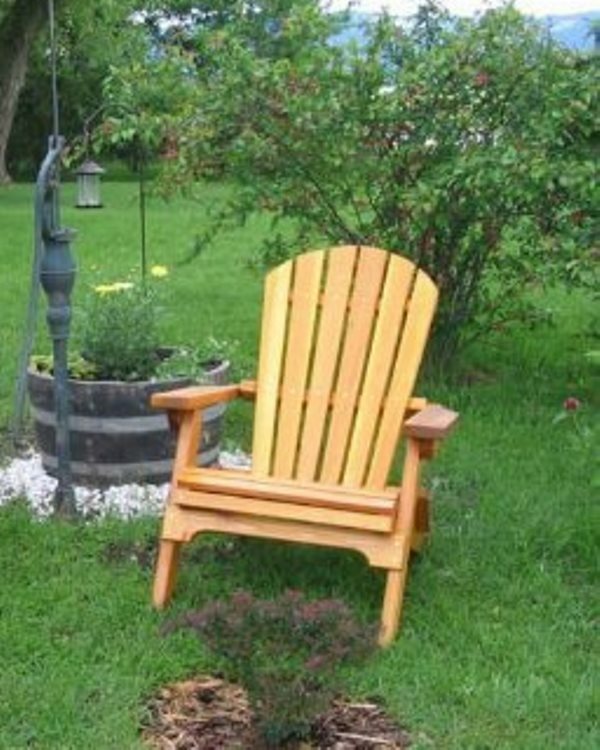 Our affordable traditional styled Amish cedar folding Adirondack chair is approx. 31" wide x 36" deep x 36" tall. 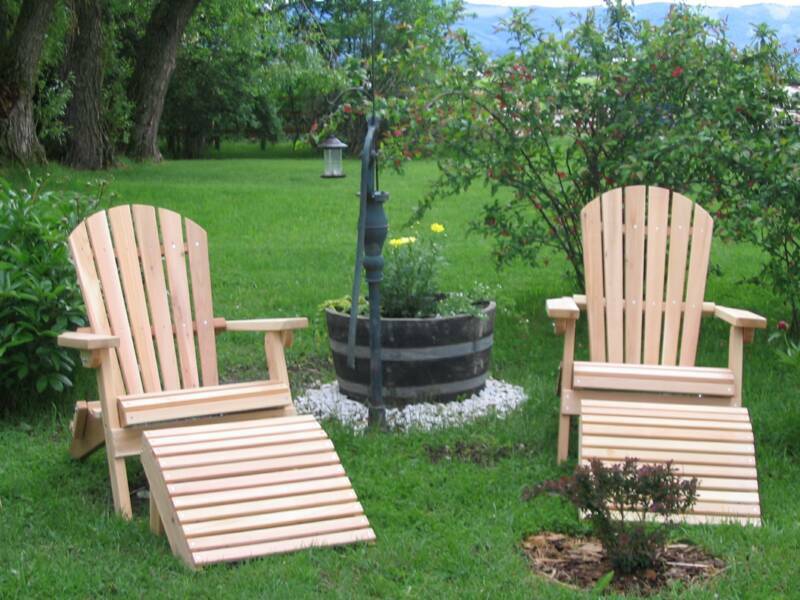 The cedar Adirondack lawn furniture is designed with a great contoured seat for comfort. 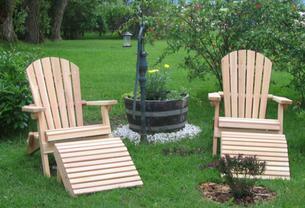 Each natural wood Adirondack folds to approx. 31" wide x 12-1/2" deep x 46" length for easy storage. This makes the storage size 1/3 the unfolded size (please click onto the folded inset picture). 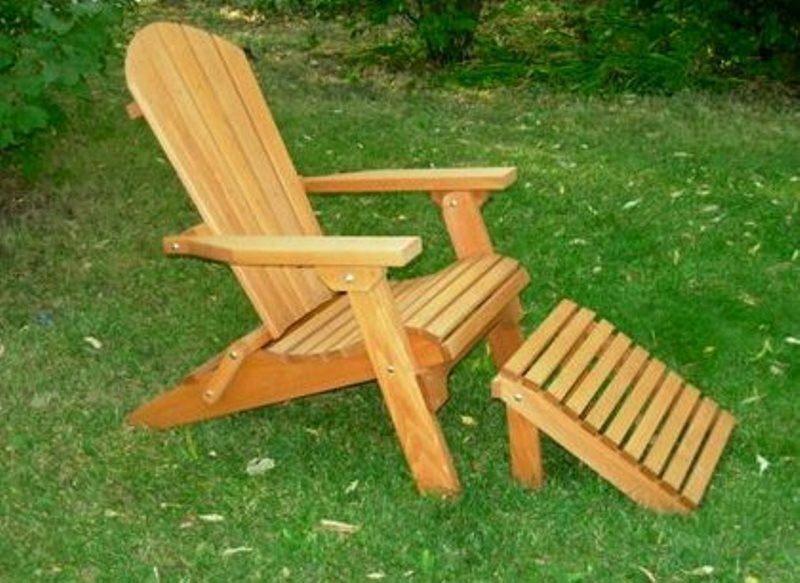 We sell in the Adirondack style folding cedar Adirondack chairs with ottomans / footstools, Fanback swings and Fanback gliders. The matching cedar ottoman is approx. 17" x 31" and tapers to the floor. The cedar ottoman does not fold to allow for more stability. Don't forget to check out our optional side tables. 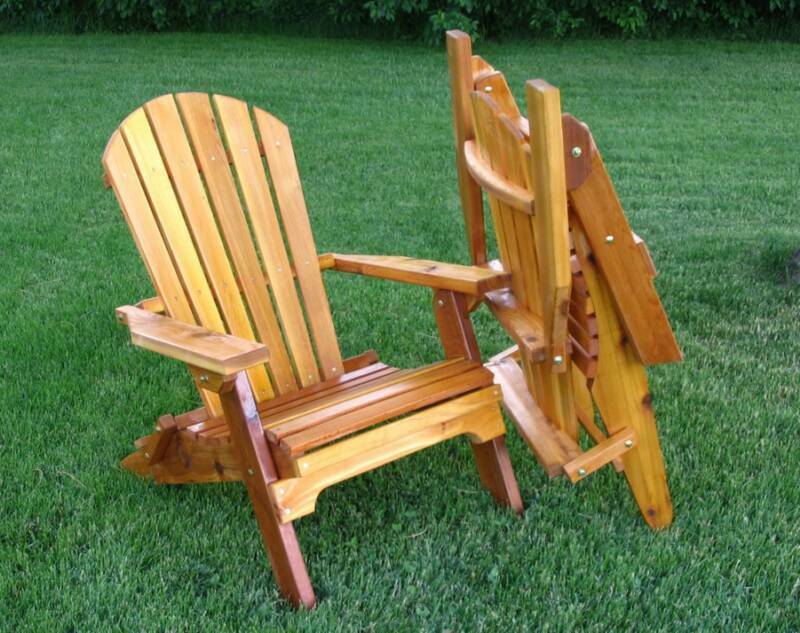 All of our Amish cedar patio furniture products are made from natural tight knotty Western Red Cedar with non-staining hardware. 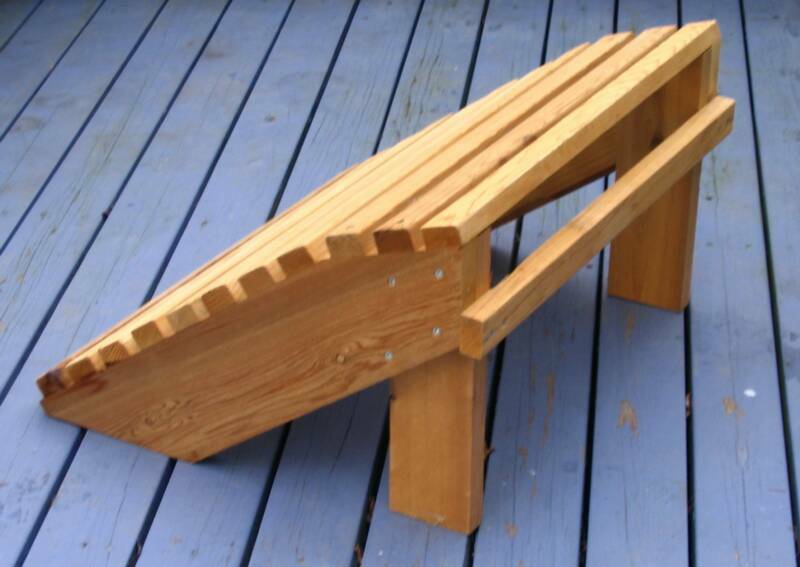 Western Red Cedar is lightweight, dimensionally stable, and naturally resistant to splitting, cupping, and warping. 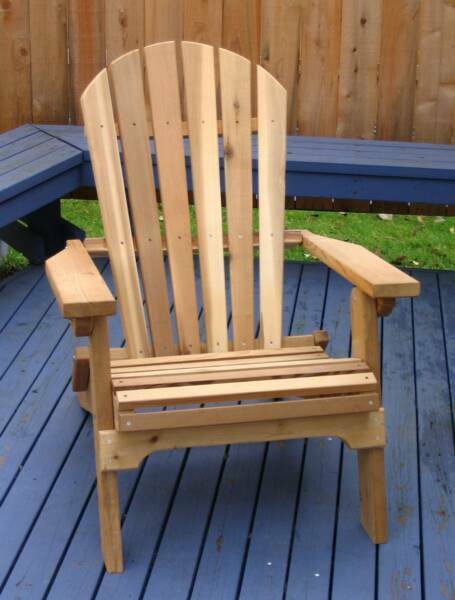 Western Red Cedar gives our wood patio furniture strength, beauty & natural resistance to the elements. 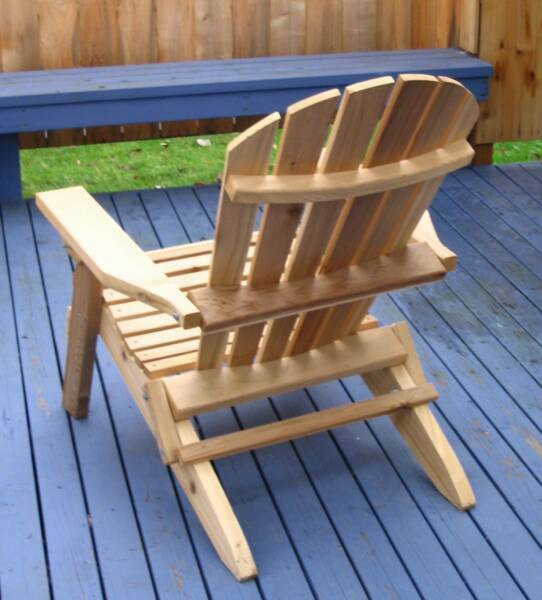 Each piece is ready for staining, clear finish or simply leave natural. An oil finish or clear finish with UV light protection will bring out the beauty of the grain and a bit of red tinge in the wood. 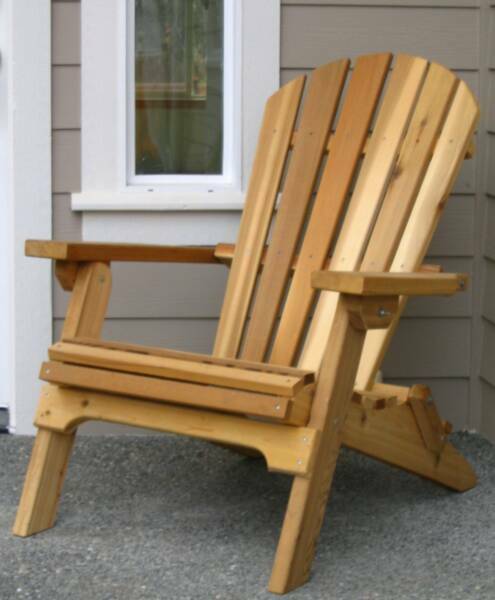 If the Western Red Cedar is left natural, it will weather to an unpretentious gray. is easy to assemble. Amish crafted of Western Red Cedar. 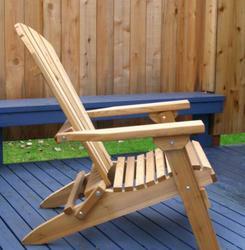 Our sturdy Adirondacks fold for easy storage . 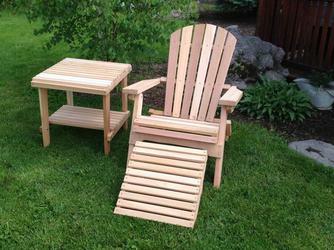 Kilmer Creek Amish crafted folding cedar Adirondack Chairs for your lawn, patio or deck. © 2014 Kilmer Creek LLC. All Rights Reserved.